We spoke to the star of MTV's hit show about his career and upcoming sci-fi flick Beta Test. 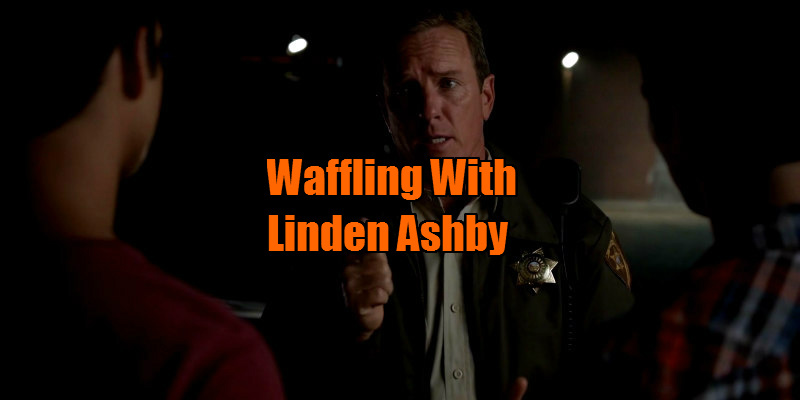 Hey Linden, what got you interested in acting, and how were those early years trying to establish yourself? I really started acting in college. I had some great teachers, did some great plays, and that was it. I then dropped out after my junior year and moved to NYC to study at the Neighborhood Playhouse with Sandy Meisner. And that… well that changed everything. I then did theatre in New York, Off Broadway, Off off Broadway, regional.. and I eventually got a part on the ABC daytime soap opera Loving where I met my wife Susan, and once again… well, that changed everything. Is there a role you can point to that made you realise your career was headed in the right direction? Every role, no matter how bad you are in it, or how bad the film is, can be positive in some way. It might seem like the worst experience (It probably was!) and you can’t believe you did it, (but you did), but I guarantee you’ll learn from it, and if nothing else, you'll never do something like that again. You also learn to take care of yourself. Be prepared, be professional, don’t buy into any negativity, stay positive, have boundaries, and do the best work you can possibly do. You never know what you might learn or who you might work with again. You played Kevin Costner's brother Morgan in Lawrence Kasdan's western epic Wyatt Earp. How was the experience of working with those two? I learned a lot on that one! That’s one I wish I could have a do-over on (laughs). I would have so much fun doing that movie now! Good example of some of the above; I didn’t have great boundaries and got pretty intimidated by the whole thing. I definitely want a do-over on Wyatt Earp! Crap! 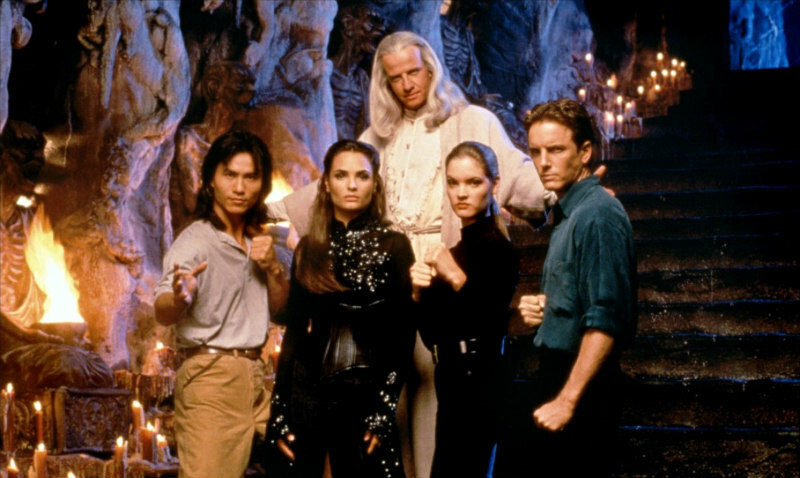 In 1995 you starred in the adaptation of cult video game Mortal Kombat. Did your martial arts background prove useful? I had an okay martial arts background before MK. I had studied Karate in my twenties but my background was mostly boxing. I had boxed for years. So... I had pretty good hands and just “okay” feet. But yeah, because of that background I was able to pickup whatever they wanted me to do fairly quickly. Now Robin Shou was a different story, Robin had and HAS amazing skills!! I mean come on, he was and is, THE CHOSEN ONE!!! You joined the cast of Melrose Place in 1998. That show was quite a phenomenon in the '90s and probably made you more recognisable to the public than any movie roles. How was your time on the show? Did you have any trouble with the soap obsessed tabloids? I didn’t have any problem with the tabloids, my problem was with the soap format. I had been doing fight movies and TV shows for years and now they wanted me to talk… A LOT! (laughs). I was like, “I would never have this conversation! I would’ve left or hit this guy (or both!) three pages ago!” And they were like, “Well Linden, you can’t do that because then our show would be five minutes long and people would be sad.” And I said, “Okay, I see your point…” That being said, I did have fun on the show and it did probably increase my visibility. MP was such a huge part of pop culture at the time… Crazy to be a part of something like that. And I loved Aaron Spelling. He was loyal, kind, and a great man to work for. I wish he was still here. You later had stints on daytime soaps The Young and the Restless and Days of our Lives. How different is that format for an actor? Daytime soaps get slammed pretty hard, but I’ll tell you something, I’ve worked with some of the best actors I’ve ever worked with on daytime. It’s hard work, lots of dialogue, really fast, you either sink or swim. It’s actually really fun. You have a leading role on MTV's Teen Wolf. Many scoffed at the idea of a TV adaptation but it's going strong six seasons later, and MTV has also made a successful show from Scream. Why do you think Teen Wolf has succeeded where other TV reboots have failed? Teen Wolf was a success for one simple reason, it’s really good! That starts at the top with Jeff Davis and extends downward to the network, the cast, the crew… We caught lightning in a bottle with Teen Wolf and that doesn’t happen every day. Coincidentally, one of your first screen credits was a role in the '80s show Werewolf. As an actor, what has changed most about TV production in the time you've been working? Haha. Everything has changed! There’s no more film, there was no such thing as video playback, or watching the camera shots on a monitor. The director stood next to the camera and watched and when he called “cut” he looked at the camera operator and asked, “did you get it?” and if he said “yes” we moved on. There was no CGI, everything was practical (real, or created with makeupFX). Now you can completely change the film in post. Before you could change the color timing a few degrees and that was it. It’s all evolved so quickly… I can’t wait to see what’s next. We're about to see you in sci-fi thriller Beta Test, in cinemas July. What can you tell us about the movie and your role? Beta Test is an homage to 1990s action movies (hmmm, I think I did one of those) with a 2016 twist. It deals with gun control, violence in video games, and corporate greed and manipulation. All pretty current issues. And what’s cool about it is that it does it in a way that you haven’t seen before. A good portion of the film is actually seen as a game! This isn’t animation, it’s actually a gaming engine designed specifically for this film! big city. 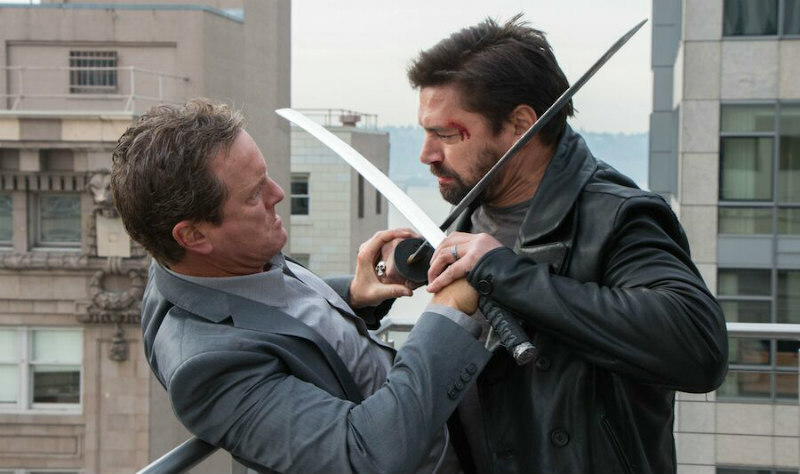 Manu Bennett is “Creed”, who seems to be having kind of a bad day due to his underhanded thieving ways. The long and short is; It’s smart, action packed, and different! And yes… okay…. Manu and Larenz Tate are the good guys! And Manu has a fight sequence that is I believe the longest uncut fight sequence ever filmed… or so I’ve been told! All I can say is that it was long, really long, and my men didn’t do their jobs very well!!! And Manu was worked at the end of that day! (Laughs) See… being the bad guy has its perks! 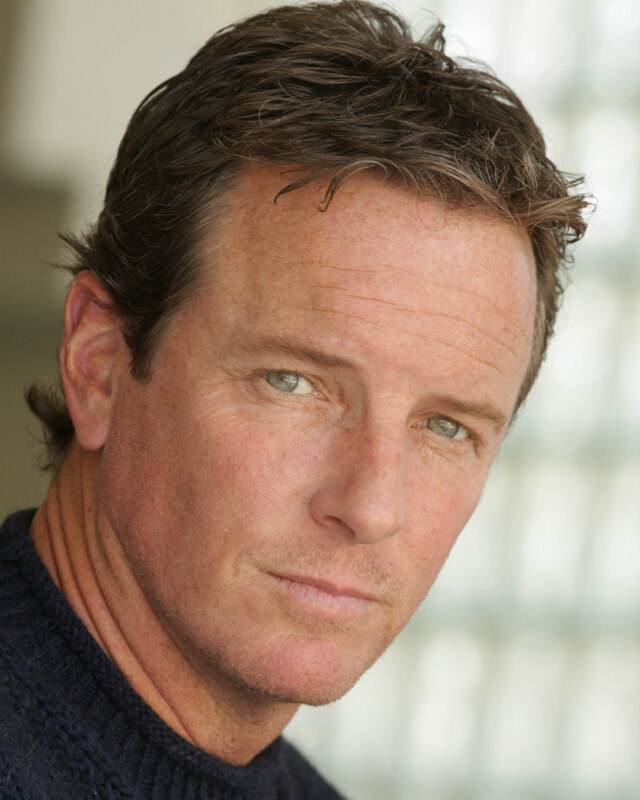 What's next for Linden Ashby?